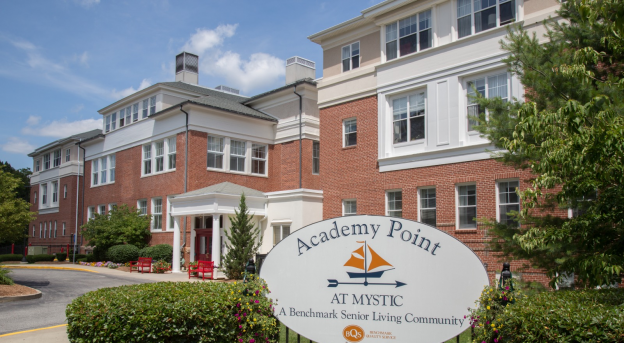 Located in Mystic, CT, Academy Point at Mystic provides seniors access to the highest quality of assisted living, dementia care and short-term respite services. 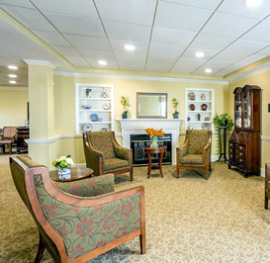 Assisted living residents have the best of both worlds: an apartment of their own and the peace of mind that comes from knowing 24/7 support from caregivers is nearby. For seniors who have Alzheimer’s or another form of dementia, Harbor Memory Care offers a safe and supportive solution. 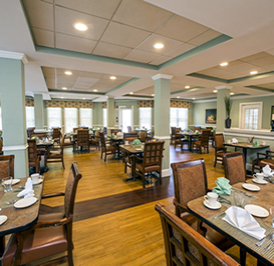 Led by a Certified Dementia Practitioner, this specialized form of assisted living combines personal care assistance and innovative medication management with dedicated programs for dignified dining and life enrichment. When the family caregiver needs a break to rest and recharge or will be unavailable to care for their loved one for a short time, respite care services can provide the solution. Through our Easy Care respite program, short-stay guests benefit from the same services and amenities as permanent residents.